PlatformPowerful, agile and unchained. With the Kustomer platform you are free to run your business the way you want to. CapabilitiesCustomer-friendly. Agent-friendly. Everything you need to empower your agents and deliver unparalleled customer experiences. IntegrationsDo even more with Kustomer. Our one-stop, open community of partners and friends for complementary solutions and capabilities. DevelopersFast and easy resources to help you extend the Kustomer platform and build the best environment for your business. CustomersSee our success stories. This is where our customers share with you how awesome we are. LibraryRead, watch, download. Our library of guides and videos. Come on in and check it out. BlogBest practices, tips and new ideas. Illuminating content from our community of experts just for you. EventsLet’s get together for a chat. Online or in-person – join us! 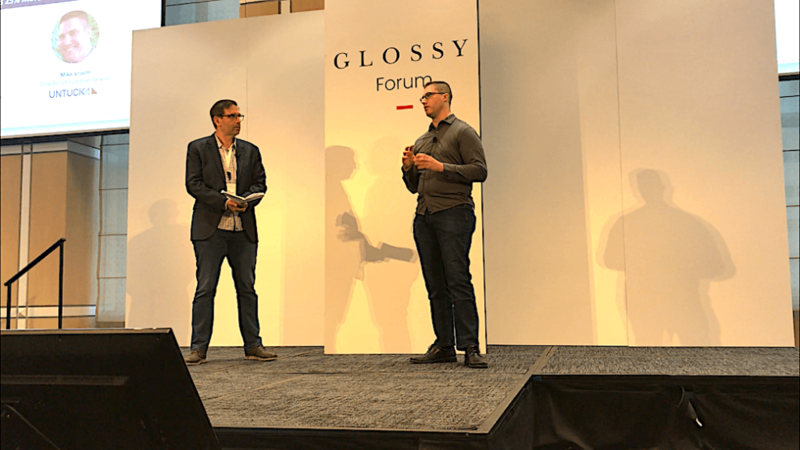 We had the pleasure of learning from Mike Vroom, UNTUCKit’s Customer Service Director, at the Glossy Forum: the Direct-to-Consumer Era, and wanted to share some of his awesome insights into how he was able to increase efficiency by 25%. We’ve picked a few choice ones below, but make sure to watch the entire video for all of that great CX knowledge. The Faster You Scale, The More You Need a Plan: When Mike started at UNTUCKit, they only had 4 stores. They’ve since grown to 40, with that total set to reach 50 by the end of the year, and a goal to hit 100 in the next five. However, scaling quickly can lead to the proliferation of multiple, disconnected platforms that agents have to toggle between to do their jobs. Rapid growth can make it hard to take a breath, and even harder to take a uniform, platform approach. It’s best to use a flexible support system that can accommodate the integrations you’re going to need. Custom Objects Can Keep Customers Engaged: If your service and CX solution can easily display information from other platforms, instead of forcing agents to switch tabs between them, then it’s easier for them to remain in a single view and engage with customers in real time. With the ability to snooze relevant reminders and provide real-time updates, your agents can be more proactive as well. Omnichannel is Omni-Crucial: As a retailer that’s scaling quickly across both brick-and-mortar and digital, an omnichannel experience is critical for UNTUCKit. Lack of a true omnichannel experience was a pain point in their old platform. Their in-store inventory and experience couldn’t communicate with their ecommerce system. That means customers couldn’t easily see what was available in the nearest retail store, or return online orders there. With Kustomer, they have true visibility into the customer journey across channels, and can finally identify their lifetime value. Increasing Efficiency Helps You Scale: During UNTUCKit’s rapid growth, they knew they needed a new service platform, but they had to focus on responding to the daily asks that keep customers happy. However, Mike has been able to take a breath and look at the bigger picture since making the switch—and wishes he could have done it sooner. Since switching, they’ve increased efficiency by 25%, and reduced average handle times for calls by 30 seconds. More efficiency means you can focus on long-term strategy and experience design, and not on the day-to-day tasks. That way, you can grow with confidence. Mike has seen amazing improvements since switching from Desk—find out why companies are switching to Kustomer here. Join our circle of friends.